Ashley Adams discusses who to invite to your home poker game -- and how to keep them coming back. Learn how to keep your home poker game going by organizing and growing your player list. There are all sorts of things to consider when you think about the ideal line-up for your home game. Do you want a table full of fish — easy to exploit and simple to read, who make bad calls, seldom raise, but can be relied upon to call you down when you have the boss hand? But what if they're obnoxious, bad mannered oafs? Do you really want to make a habit of spending time with people whom you can't stand, just so you can take their money? What about good players with impeccable manners and scintillating conversation? Sure, you might enjoy their company. But if they're really good, won't they make it hard for you to profit from your poker experience — which is really your bottom line? Do you only want to invite guys you are friendly with — that is, avoiding strangers? This might seem like a good plan, but how many of your friends really want to play poker and are ready to commit to a regular poker game? Keep in mind that for this to work you're going to need a solid group of no fewer than eight people. Do you really have that many friends who will show up regularly to play your favorite game? If you do, then how come you're not playing with them already? 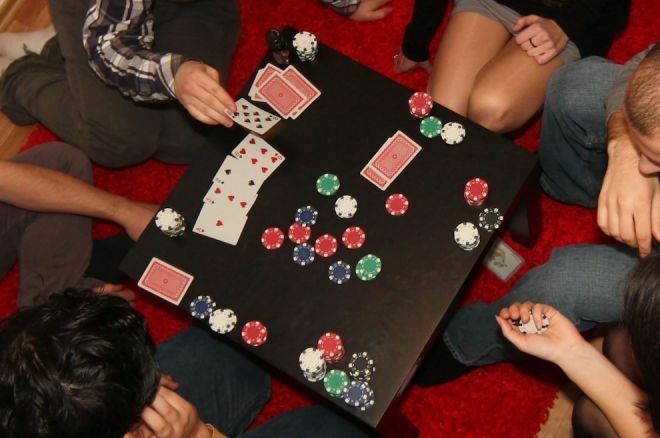 Setting aside your daydreams of playing poker regularly with nine of your closest friends — all of whom are great guys, with deep pockets, and lousy poker players — the reality is the biggest challenge in organizing an awesome home game is not coming up with the ideal list of invitees, but rather getting enough people to your game. That's the rub. In other words, "Will they play?" becomes pretty much the sole focus of your concern. So let's start with that. What can you do to make sure you have enough players for a good game? You might think you already have a good idea who you're going to invite to your home poker game. And maybe you do. Most of us know at least a few people who are obvious choices to call. That's fine. But generally speaking, there aren't enough of them to make up a great game (or you'd already have one). You'll find that when it really comes down to it, even if you know dozens of people who play poker, they won't all be available and eager to play on the same night — especially not on a consistent basis. So make up a list. Make sure you include every single person who might be worth inviting. The good thing about a list is that you can add to it as you think of more people and as your contacts expand. That's what you want — an evolving, growing list of invitees. This may seem obvious, but in addition to the names of invitees, you want to keep track of emails and cell phone numbers along with an indication for each player of the best means of communicating. Some players never check email or rarely answer their phone, but always rely on text messages to communicate. Others — such as oldsters like me — are best reached by phone. Include such contact info with each entry on your list. Ideally, you want a list so long that you won't be able to keep track of everyone just by memory. As you grow your list of players to contact for a game, subdivide it into group lists for emailing or texting. Doing so saves you the time and trouble of writing individually to the many people on your list. With group lists, you will be able to send out a blast text or email message in less than a minute. True, you'll still have to sort through the responses individually to see who's a yes, who's a no, and who's a maybe. But that's the fun part — like checking your lobster pots. Let people know the status of your game as the week progresses, especially if you have seats to fill. Players are often reluctant to make definite plans for a game when you send out the invitation initially. They may want to be sure that the game is a go. Or they may need to get permission from a spouse or family member, and so may not respond to your first query. Give these slow responders a chance as you get closer to the game to decide they're coming. A "two seats left for Saturday's game" note is often what it takes to turn the "maybe" players into "yes" ones. Noting when your game is filled will also make those who said they're coming take their commitment more seriously. It can also make others more ready to commit early to lock up their seat the next time, so they aren't shut out of the game. Poker players are usually not the most reliable people, you know — especially bad poker players. They flake out of commitments, don't show, move on, and drop out of the poker playing community for many reasons (like going broke from time to time). That's okay — it comes with the territory. You need to be prepared for that eventuality by growing your list of invitees. If you don't keep working to expand your list, it will inevitably shrink below the level needed to maintain a viable game. Expanding your list starts with your intention to do so. Keep a notebook with you for jotting down the name, email, and/or phone number of people whom you meet who might be interested in playing. Don't be afraid to ask people if they're interested in playing poker. Keep in mind that in most cases, if you're going to bring people into your poker circle, you're the one who is going to have to make the first move. If you are serious about this, I suggest that you intentionally, if only occasionally, expand your poker playing contacts by visiting places where there are poker players. In addition to just "putting the word out" to your regular players that you are always looking for new players, consider going to nearby poker rooms, casinos, and home games where you are likely to meet players. Then, in the course of playing elsewhere, chat up the people with whom you're playing and invite them to your game. You don't have to be aggressive about this — just a pleasant and casual conversation will usually reveal whether someone might be interested in playing with you. The key is following up by getting their contact information and inviting them. I'm not suggesting anything elaborate. The obvious pleasantries usually suffice, but do make sure you cover the basics with a new player. Explain the games you play and how you play them. You probably have house rules and practices that most outsiders won't know. Make a point of explaining all of these things to the newbie. Similarly (and obviously), bend over backwards to make sure the new players feel welcome. Introduce them to everyone, even if the other players don't seem very interested. Give them a tour of the room, pointing out where the bathroom is, where the food is, where they can get something to drink, how they buy chips — all the obvious stuff about your game that you and the regulars know as a matter of habit. Remember that you want them to come back, even if they lose money. Disputes, common practices, or routines that come up over the course of the evening and are handled automatically by you and the group might be confusing to a newcomer who is used to doing the same things differently. Being new to a game can be somewhat disorienting for players who are already likely to be uncomfortable with a new group of people. Make them more likely to return by welcoming them into your group with a smile, introductions, and a warm explanation of what you are doing. Follow these steps to establish your home game. Once it's going strong you can then become more selective with whom you invite into your regular game. And if you have an open seat, please consider inviting me! Photo: “Gamble,” Nicu Buculei. Creative Commons Attribution-ShareAlike 2.0 Generic.